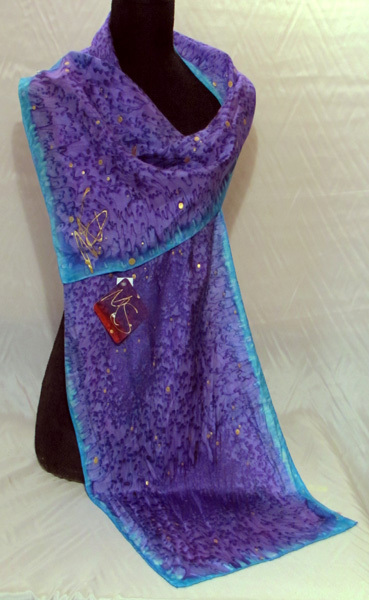 Nite Lite scarf is one of my more fun designs for Manna Silks. Playing between the deeper rich blues and purples of the night sky to the iridescent turquoisy blues that a dusk sun can paint the edge of night with. 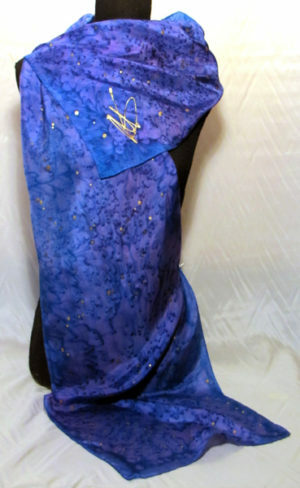 This scarf also has gold dots that give it an extra bling. 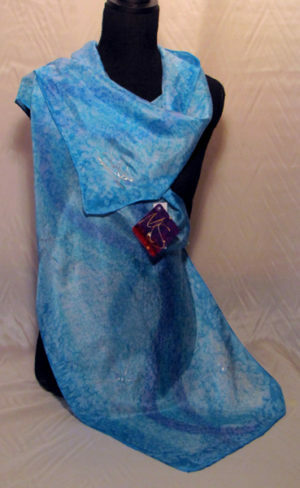 The Nite Lite scarf is high selling scarf in the inventory. 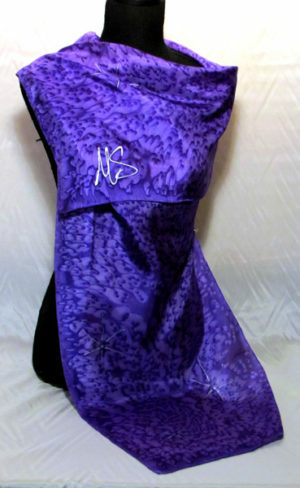 The rich purples that define the body of the scarf is enhanced by the light blue that edges the body. 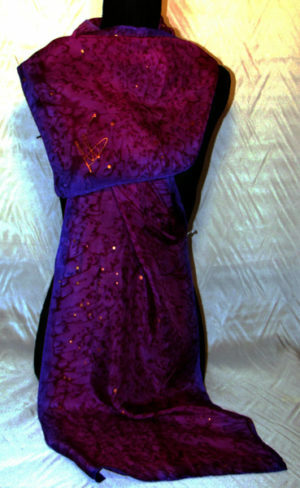 It also pops thru in the body of color to enhance the overall design.